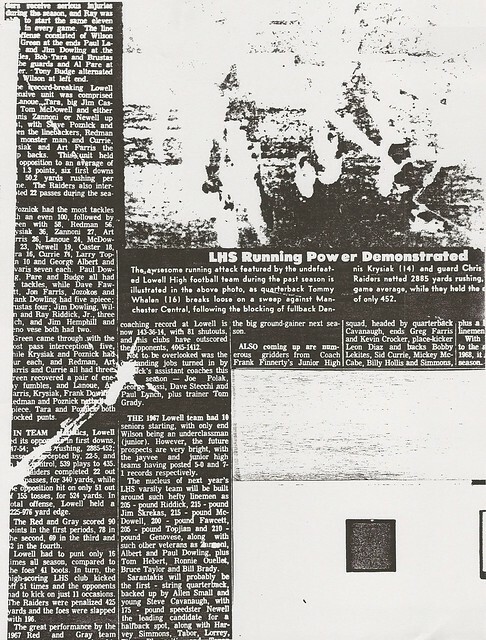 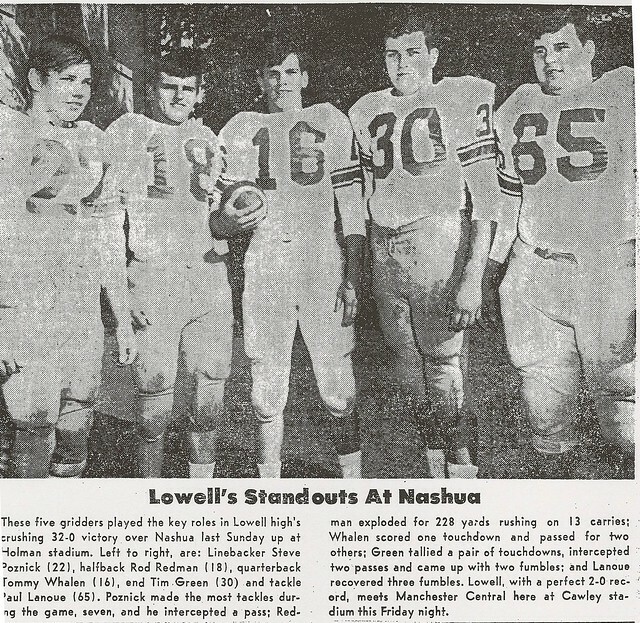 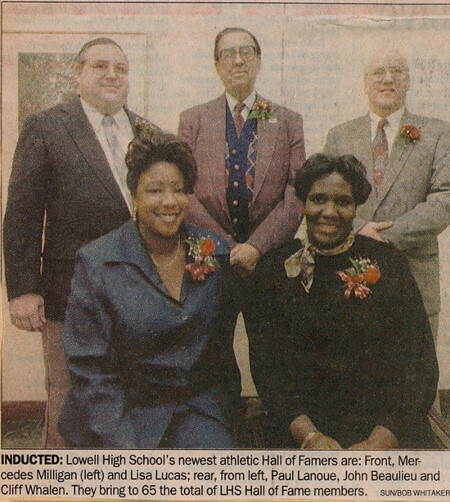 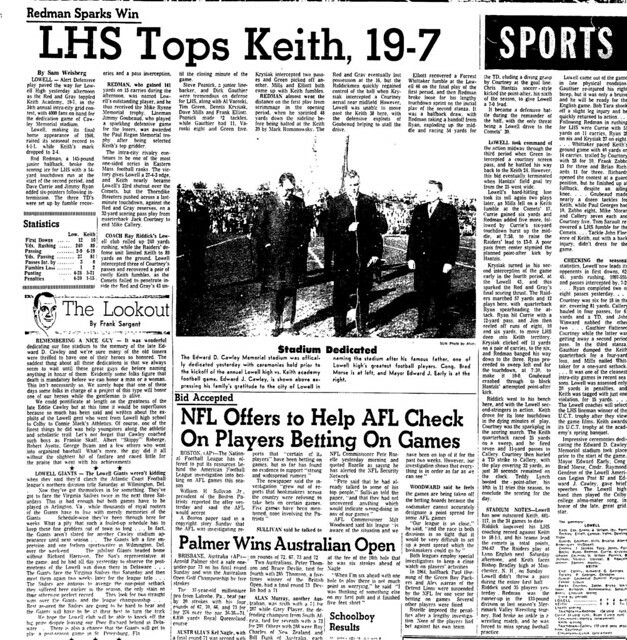 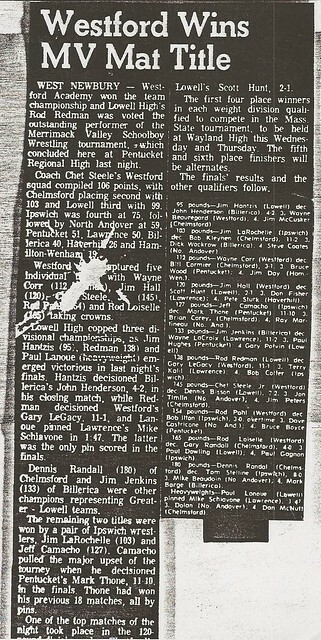 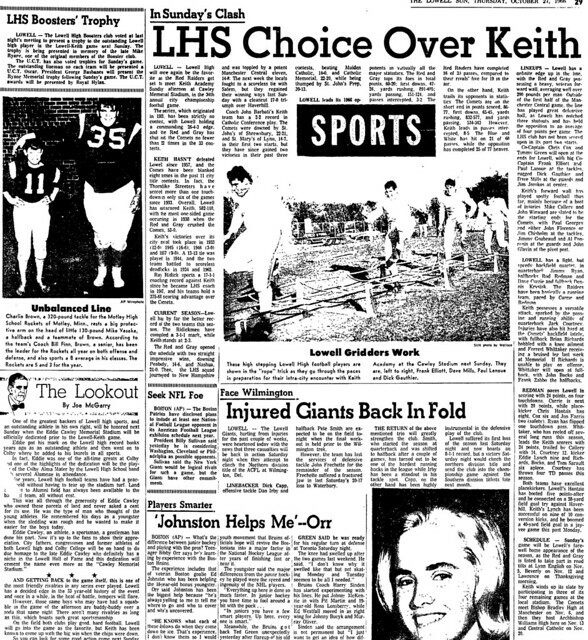 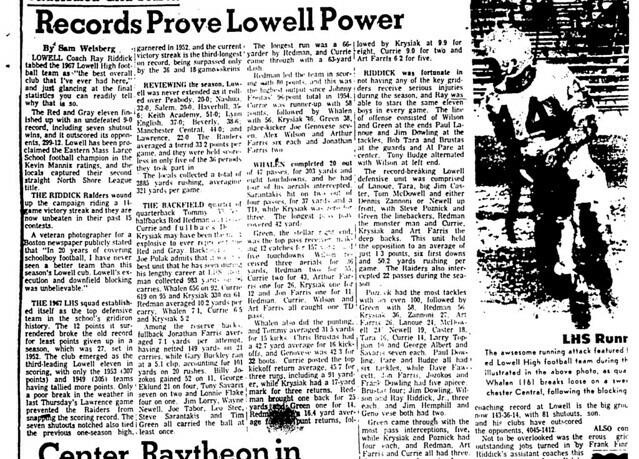 One of a number of outstanding athletes from the illustrious Lowell High School Class of 1968, Paul Lanoue earned State, New England, and National honors as a member of both Ray Riddick’s famous undefeated 1967 gridiron juggernaut and George Bossi’s State Championship wrestling squad. 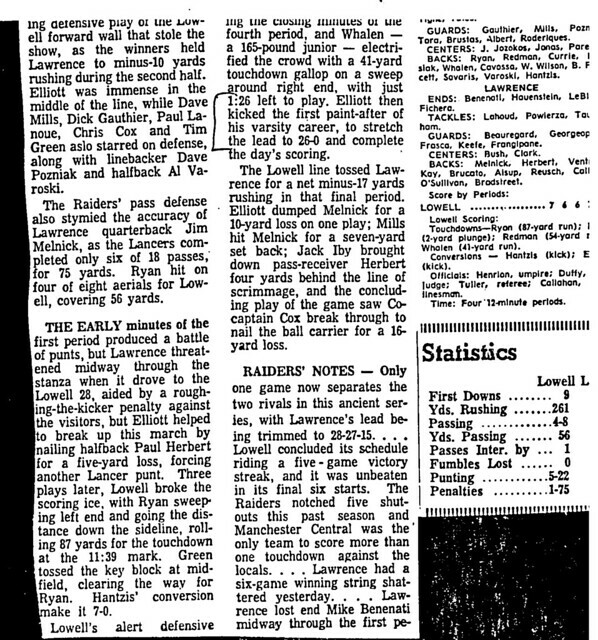 As a standout 2-way lineman on the Red and Gray football team, Paul was a rare 3-year starter. 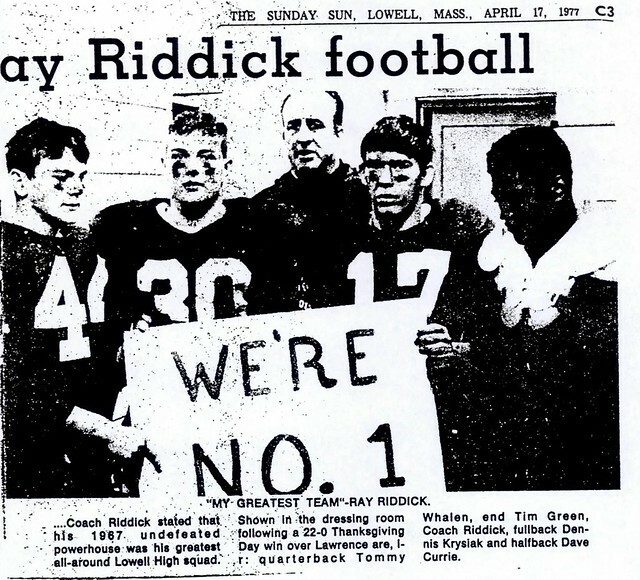 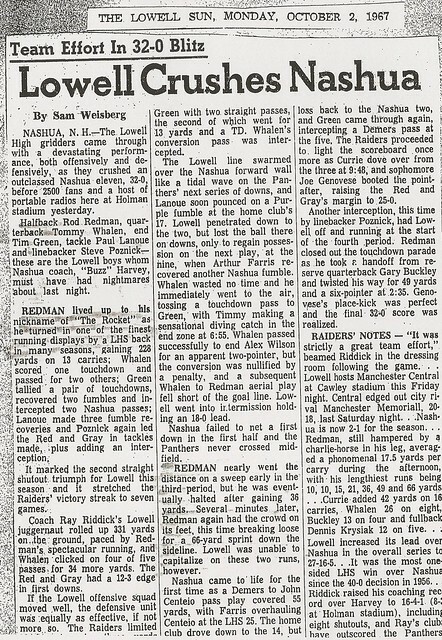 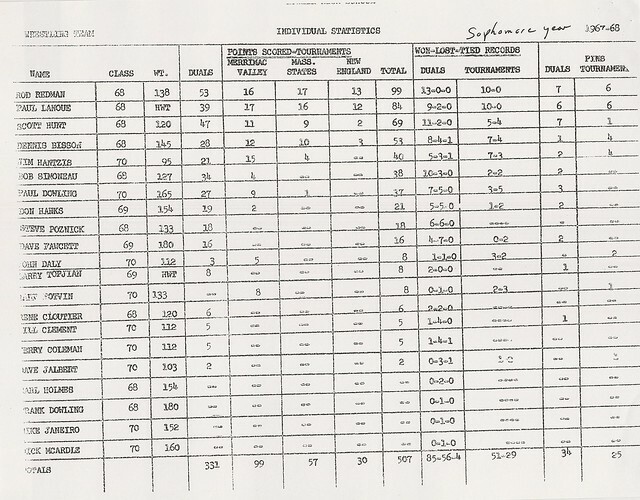 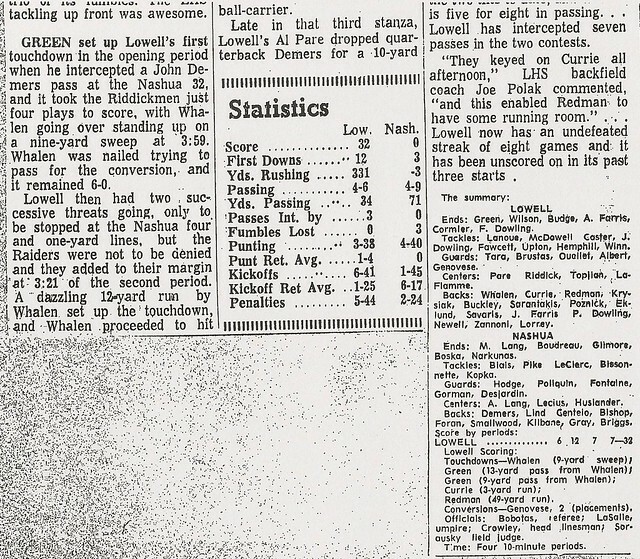 After being voted the team’s Most Improved Lineman during his junior season (1966), Paul elevated his game to a higher level as a dominating force on Coach Riddick’s legendary 1967 team that rolled through its 9-game schedule undefeated. 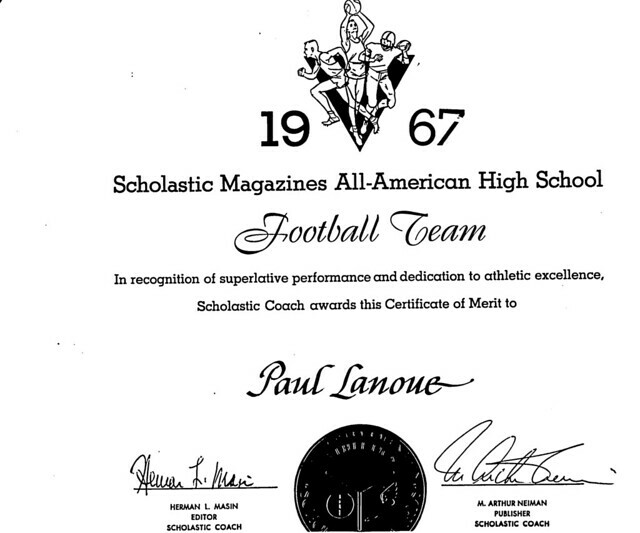 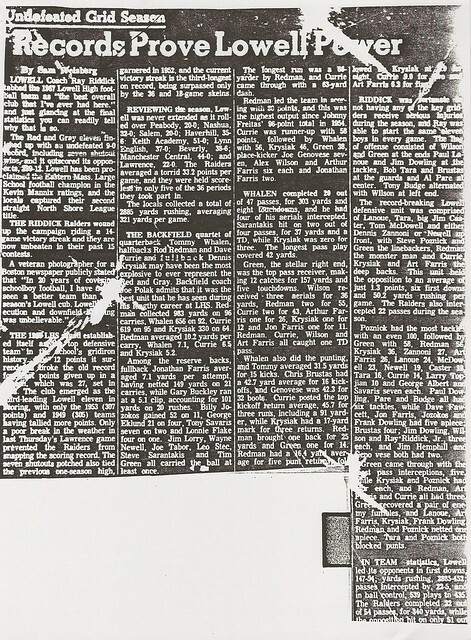 For his performance that season, Paul received All-Scholastic honors from the Boston Globe and was named to Scholastic Magazine’s High School All-American Team. 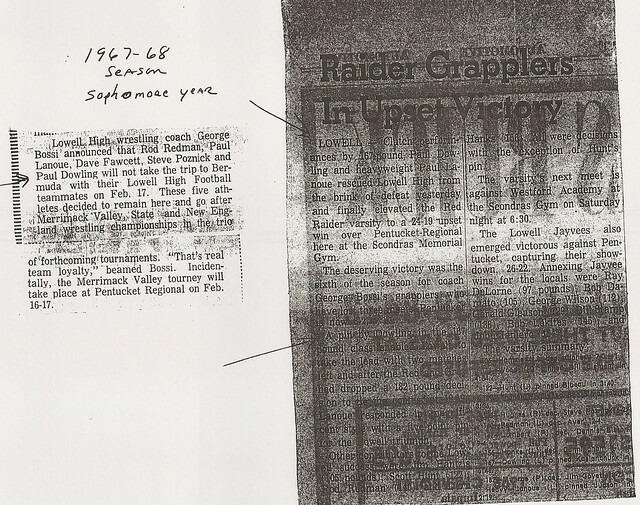 As a senior, Paul joined the raider wrestling team under George Bossi. 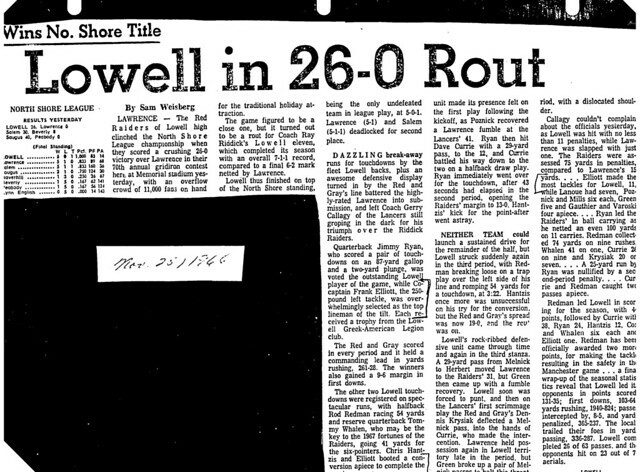 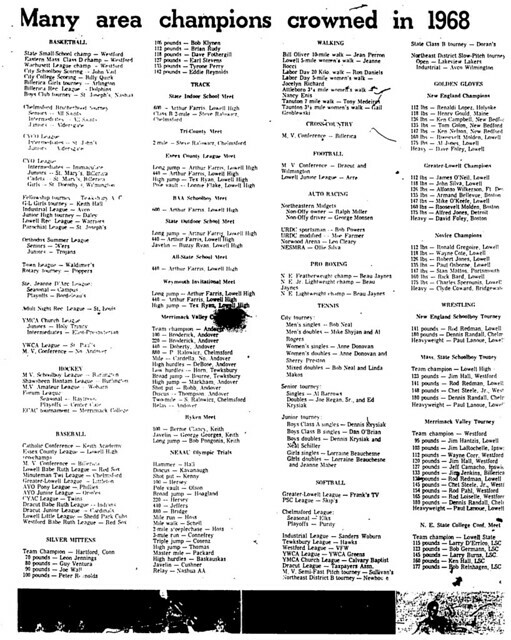 Remarkably, with no previous wrestling experience, Paul compiled an excellent 17–2 dual meet record. 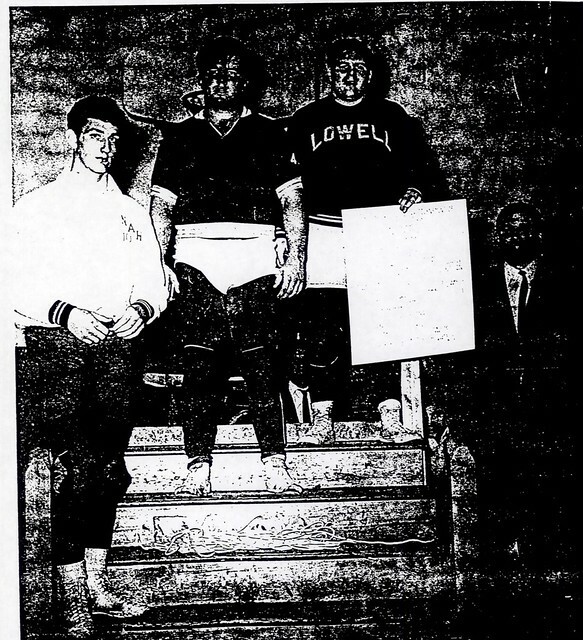 He saved his best efforts, however, for the championship season, winning Sectional and Massachusetts State Championships in the unlimited weight class before culminating his season by garnering the New England Championship as well. After graduation, Paul enrolled at Arizona Western University, where he was undefeated for two years (1968–69 and 1969–70) as a member of the wrestling team. 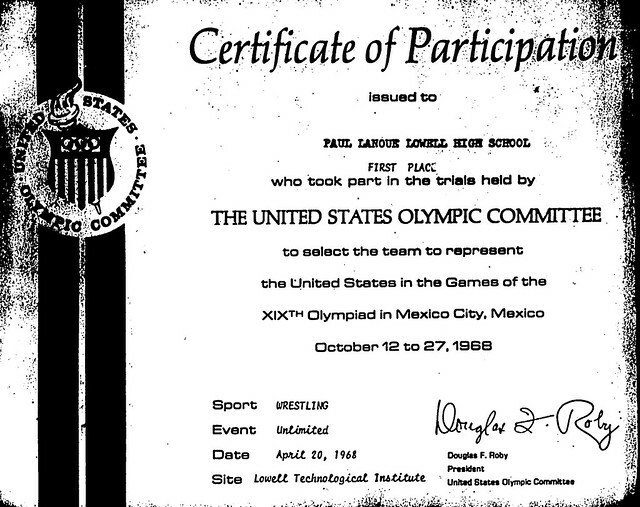 During the 1968 and 1972 Olympiads Paul competed in the United States Olympic Wrestling trials. 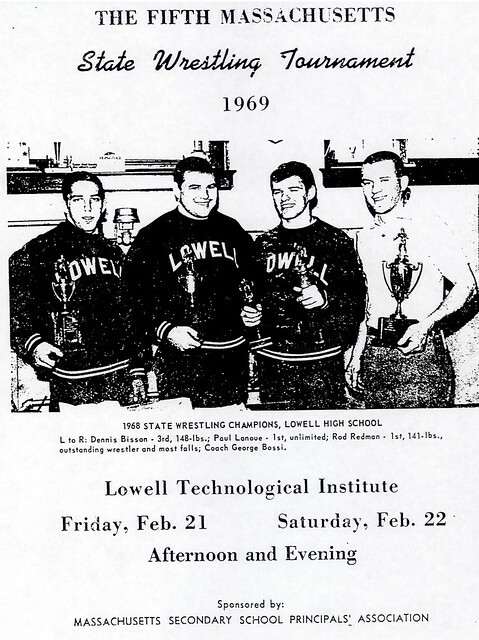 As a high school senior in 1968, Paul won the New England Olympic Regional Trials. 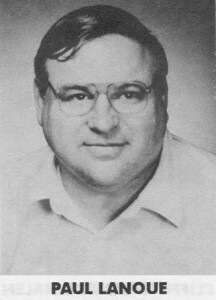 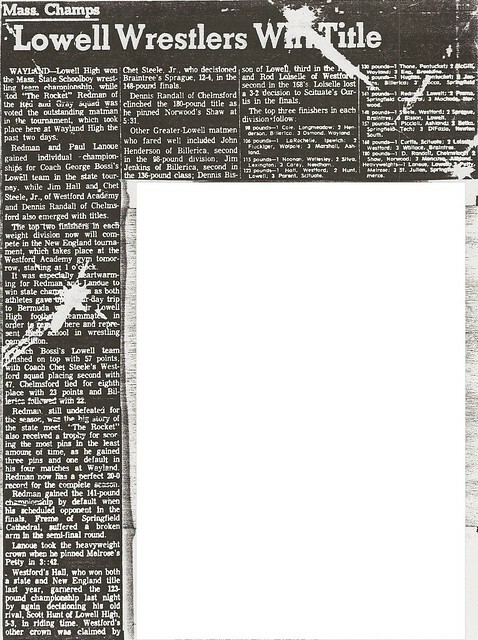 In 1972, Paul was runner-up in the same competition. 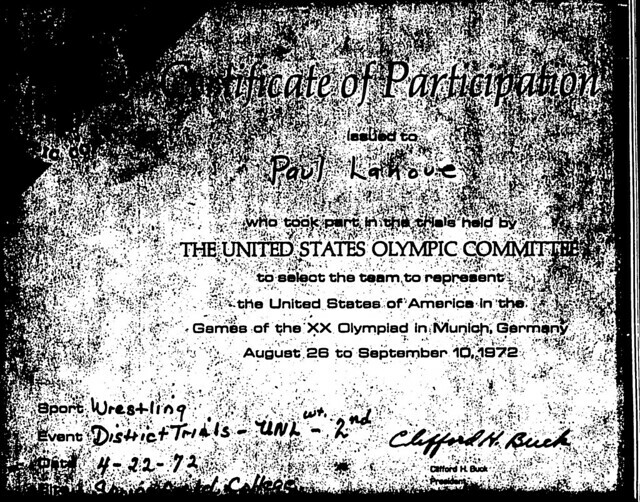 On both occasions Paul advanced to the National Olympic Trials, narrowly missing opportunities to represent the United States at the highest level of international competition.